Video: Organic vs conventional farming—do we have to pick one or the other? Debunking too often tends to be a team sport and just because it’s inevitable, doesn’t mean it’s not a problem. In food and farm issues, only biotech drives more debunking than the organic vs conventional debate. When you are responding to misinformation, the “other” side already has defined the terms of the debate and it’s hard to bust out of those frames. Often that means the big picture gets lost. I’ve been guilty of this and we’ll get to an example of that, but let’s start with the post that got me to finally write this one. Steven Novella is a clinical neurologist and assistant professor at Yale University School of Medicine. He’s a high profile skeptic and does a lot of debunking on the invaluable Science Based Medicine group blog and his own blog, NeuroLogica. 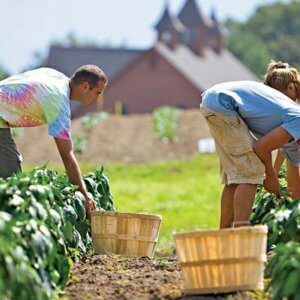 He wrote a piece with the gratuitously polarizing title, “Organic Farming is Bad for the Environment” that looked at a new German study that compared the land use and greenhouse gas emissions of the average organic consumer and the average not-organic consumer (people who don’t buy a lot of organic certified food). 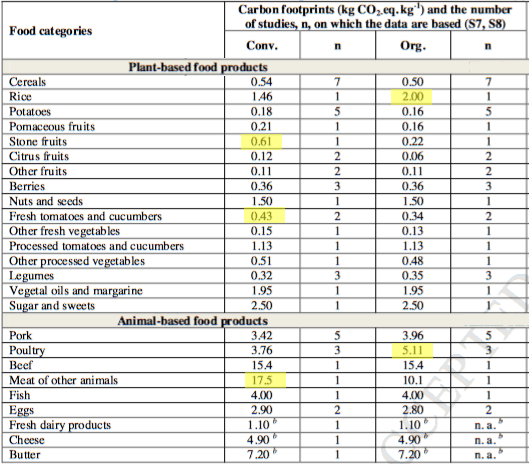 The carbon footprint of the organic and conventional diets were the same – no significant difference. However, this includes the fact that the conventional diet contains 45% more meat, and meat consumption was the main driver of the carbon footprint. Therefore, if you eliminate the meat variable, organic produce has a much higher carbon footprint than conventional produce, but this higher organic carbon footprint was offset by reduced meat consumption. Obviously the ideal situation would be to use conventional farming practices, but also reduce overall meat consumption. Further, the organic diet (which again includes the meat variable) uses 40% more land than the conventional diet. That is a huge difference. That is in line with other studies which show organic farming uses 20-40% more land than conventional farming. That difference is likely to grow as we make progress with GMOs, which are banned by organic farming rules. The organic farming brand is counterproductive. It is ideology-based, and creates a false dichotomy which encourages variables to be mixed in a confusing way. While the results of this German study are illuminating, they also fall for the organic false dichotomy, and blur the real magnitude of the inefficiency of organic farming. And he goes on railing against organic production. He doesn’t get anything wrong, though it would be nice if debunkings of the perceptions of organic farming as more environmentally friendly than so-called “conventional” farming could admit more often that mainstream farming could use some improvement as well. But, by and large, I agree with everything he has written. He has an especially nice passage dealing with two bits of fallacious reasoning that organic advocates often fall back on when faced with critiques of the environmental impacts of organic farming. When I have raised this point in the past, defenders of organic farming have sometimes countered that such estimates are not based on optimal organic farming. If you do it right, you can equal or even beat conventional production. There is no basis for this claim, however. It is also a bit of a “no true Scotsman” fallacy, as if organic farmers using more land are not “real” organic farmers, or at least they are not doing it right. They also offer only anecdotes about how they or someone else is able to have amazing yields with organic farming. The scientific evidence tells a different story. When actually applied in the real world at meaningful scales, organic farming is less productive than conventional farming. 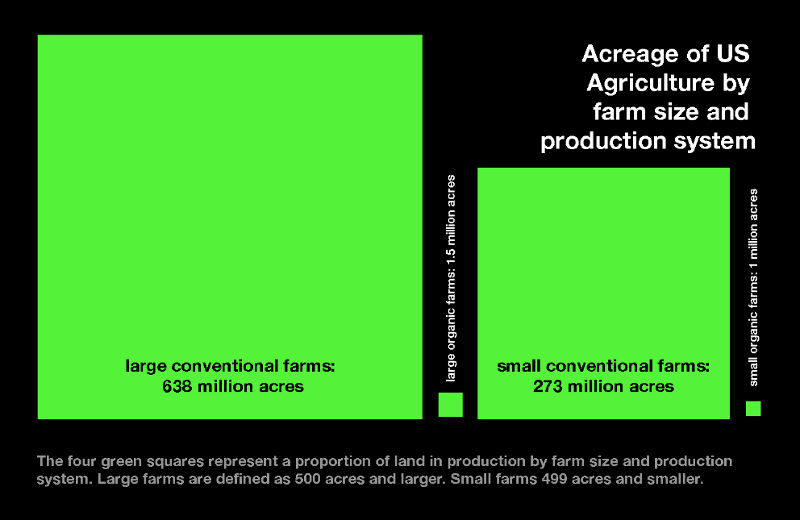 Even if we use the more conservative estimate of using 20% more land, we cannot afford that. There is no 20% more land to expand into. The next non-sequitur is to argue for reducing food waste. That’s like saying we don’t need green energy, we should just reduce energy waste. Notice what was acknowledged, but essentially glossed over. If there is one big takeaway from the new German paper it’s that Meat Consumption is Bad for the Environment. This is clear when you note that while average organic consumption profile requires 40% more land in these calculations, greenhouse gas emissions draw about even with average conventional consumption. The only group where the biggest partitions of greenhouse gas emissions didn’t come from beef and pork was women organic consumers whose biggest GHGs came from cheese and fresh dairy. This all comes into sharper relief when you look at the values comparing GHG emissions for different foods between organic and conventional. They aren’t that different. I’ve highlighted the foods where there are significant differences. Organic consuming men who eat more poultry than anyone else should be dismayed to find out that the greenhouse gas emissions associated with organic poultry production are 26% higher than for conventional. In terms of raising the land demands and greenhouse gas emission on the basis that matters – per unit consumed – meat consumption dwarfs organic for driving up the environmental impact of protein consumption at the population level. Organic production and consumption are such small portions of impacts because they don’t account for much production or consumption in the first place. 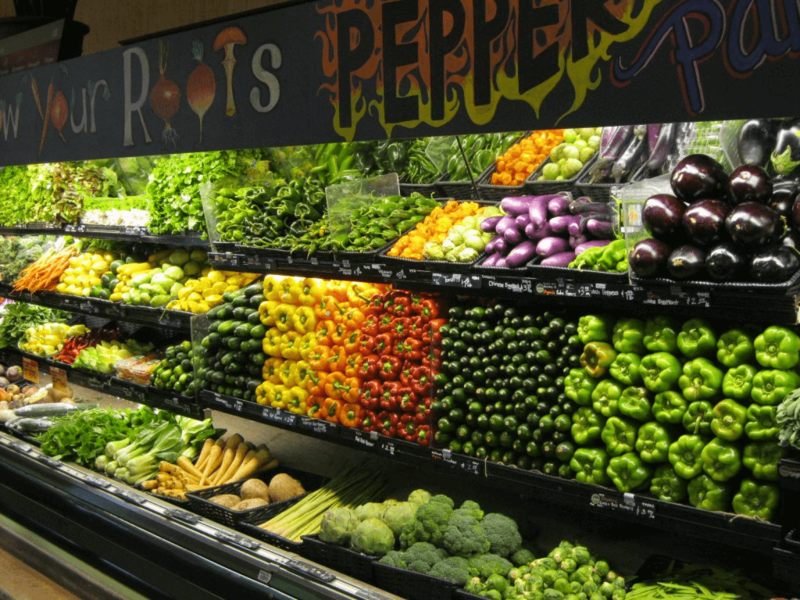 In the US, organic production accounts for about half of one percent of farmland and about 5 percent of grocery sales. In Europe, where people are willing to spend more of their budgets on food and fewer people are poor, it accounts for about 6 percent of farm land. Even though it’s true as the paper shows, on a unit produced basis, the land use and GHGs of organic are far higher than conventional, it’s such a small part of the market, the impact isn’t that big a deal. Before moving on, a side note. 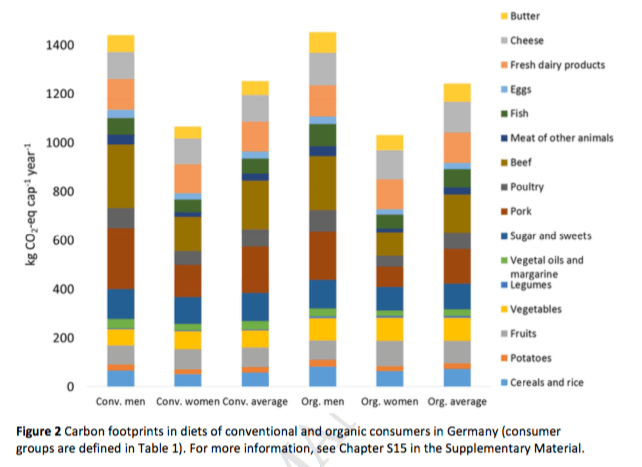 One detail I found really interesting in this paper was that the footprint of beef in these models is smaller than it would be if you were going to repeat this study on American consumers because a lot of German beef comes from animals culled from dairy production, so the bulk of their footprint is already embedded in the dairy numbers. That would not be an assumption you could make if you were doing these calculations on American consumers. While I think I do a pretty good job in the FAFDL forum of pointing out the metrics where organic production comes out ahead of conventional and trying to keep the tiny footprint of organic production in perspective relative to other challenges, in my writing, the rules of debunking have often got the better of me, even where I was trying to get to a larger, more important point. A few years ago, a major paper comparing organic and conventional yields was released to much Internet fanfare. The authors were touting the fact that they found organic farms which adopted the conservation agriculture techniques of polyculture and diverse rotations narrowed the organic yield gap considerably compared to conventional farms which did not employ polyculture or diverse rotations. We found that although organic crop yields are about 19% lower than conventional yields, certain management practises appear to significantly reduce this gap. In fact, planting multiple different crops at the same time (polyculture) and planting a sequence of crops (crop rotation) on an organic farm cut the difference in yield in half. Interestingly, both these practices are based on techniques that mimic natural systems, and have been practised for thousands of years. Our study strongly suggests that we can develop highly productive organic farming methods if we mimic nature by creating ecologically diverse farms that draw strength from natural interactions between species. However, when I read the paper, I noticed what I thought was an even more important finding. The yield gap was actually the largest when you compared conventional farms using polyculture or diverse rotations to organic farms using those systems. That is, if instead of comparing best practices organic to average conventional, you compared best practices organic to best practices conventional the gap between the two was LARGER than when you compared average to average or even worst practices to worst practices. Adopting polyculture and diverse rotations into conventional systems seems to supercharge conventional farming in comparison to organic. Now the reason I think this is so significant is that, as I said above, organic production in the US only accounts for 0.6% of acreage, so closing the yield gap in organic is still a fairly minor accomplishment at a systems level. 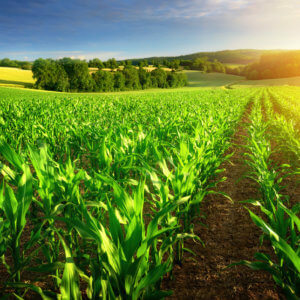 HOWEVER, increasing yields while improving the ecological impacts on millions, even tens of millions of acres of conventional farming could be a big deal. A major BFD. That’s the finding we should be shouting from the rooftops. 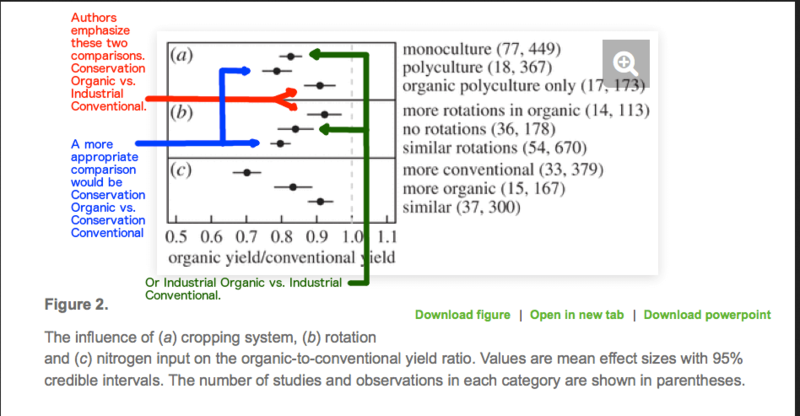 The paper shouldn’t have just quantified the yield gap between organic and conventional. It should have quantified it between conservation ag systems and non-conservation ag systems in both organic and conventional. After reading that paper, don’t you want to know what conventional farmers who adopt conservation systems gain over their brothers and sisters who don’t? I do. And I’d like to see the same comparison within the organic sector. I pointed all this out (mostly) in the piece I wrote on the paper. However, I ended the piece with a bit of rant on how I thought one of the big problems that the organic program presents is that it has come to be inaccurately perceived as synonymous with “sustainable agriculture” and eclipses the much more consequential results that conventional farmers practicing conservation ag are achieving and warps the discussion and robs our best, most conscientious conventional farmers of some of the recognition they deserve. In fact, we just don’t have a widely recognized term for sustainable farming that other than “organic”. There is a term, it’s just not widely used. It’s the term, that I introduced earlier: “conservation agriculture”, and it centers around a set of practices to improve soil quality and output, but without the prohibitions that hamstring organic. Conservation agriculture was first applied to the use of no-till and lo-till conservation tillage and has expanded to include the use of cover crops, mulches, composts and diverse rotations. If we were to add to that integrated pest management (IPM) we’d have a framework with real legs. But conservation agriculture is languishing in organic’s shadow, even as organic struggles to tame its tillage addiction and keep its dirty little nitrogen secret. In fact, there is good research that shows that conservation agriculture not only increases yields, but it increases profitability as well by lowering inputs costs (read also as: lowering environmental impacts of fuel, fertilizer and pesticides) in tandem with the higher yields. Note also, that profits increase without the organic premium in price, so conservation agriculture is accessible to low income consumers in the developed world and to the poor in developing nations. So you can see where I was pivoting back to. This isn’t an easy problem to address. I stand behind everything I wrote in that piece (except that I cringe at the title). It was stuff that I think needed to be said and better, more widely understood. It all goes to hump that I think we need to get over and that’s not going to happen without debunking misconceptions that are getting in the way. And all the positive stuff about the benefits of conservation ag are in there, they just don’t get the attention they deserve. And I can tell, because I see how the essay is shared on social media. It’s not shared to tout the benefits of conservation ag, it’s shared to put organic advocates in their place. The cringe-worthy title is partly to blame. I titled it when I was trying to see if less fastidious, more clickbaity titles would bring in more traffic (not that I could see – or at least more polarizing titles didn’t move the needle, so I happily retreated from that indiscretion). But it’s not just on writers and communicators to do a better job. Readers, especially those sharing and debating on social media, you need to step up your game as well. As the editor of Food and Farm Discussion Lab I make sure that we run tons of stories looking at the benefits of conservation ag and other positive developments in agromodernism, and I see what gets read and what gets shared. And what gets read and shared are pieces that go to the center of the organic vs. conventional / pro-GMO vs anti-GMO culture wars. If I just wanted more traffic, I could just turn this site into a tabloid that slams organic and anti-GMO activists five days a week. I don’t, because I don’t think that’s good enough. When we run debunking stories we work really hard to make sure they are rigorous (when we do it right they can get shared far and wide in spite of having crossed all our Ts and dotted every I). When we run the occasional red meat, it has to also provide some valuable insight. Those stories reach thousands, even tens of thousands of readers. Positive stories on sustainable agriculture reach hundreds, sometimes only dozens of readers. So why bother? Food and Farm Discussion Lab is incorporated as a non-profit for a reason and we run off a Patreon campaign rather than advertising for a reason (make a pledge now, if you haven’t already!). It’s important that this information is available for people who are looking for it. Among our core readership are journalists, academics, industry people, and practitioners of various stripes. Not all readers are created equal in terms to what it means to our mission in serving them. Giving a grad student who is studying horticultural and agroforestry good analytical tools for thinking about permaculture is at least, if not more important to me than giving a hundred keyboard warriors a new cudgel in the organic/GMO debates, though that’s a big part of what we do as well. We do our best in the balancing act between pitched polemic that gets shared far and wide – reaching lots of people, and the pieces making the case for a positive vision of what evidence and metrics based sustainable food production can be – which reach far fewer. So do me … nay, do yourself a favor and put down the cudgels for a while to browse our Conservation Agriculture archive. Or expand your horizons and find something interesting to read about the health of our oceans and fishery management. There’s a whole great big world out there beyond bickering about glyphosate – of which of course, our archive is unrivaled and chock full of high quality cudgels. Rest assured, they’ll be there when you need them, but don’t be afraid of expanding your horizons. Even if your interests are narrowly focused on the organic/GMO culture war, you’ll be more effective if your knowledge base extends beyond the narrow range of factoids necessary for the debunking wars. But the real value is in having a stronger sense of what we are for. Knowing what you are against is the easy part. 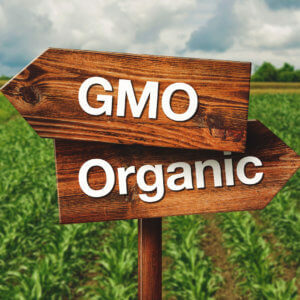 A version of this article originally appeared on the GLP on June 15, 2017 after first being published at Food and Farm Discussion Lab as “Let’s Stop Burying the Lede in the Organic vs Conventional Debate”.